If it’s lunchtime on a weekday there’s a good chance you can find the Brides of Oklahoma team at one of our favorite restaurants – Cafe 7! Imagine our excitement when we discovered that this delicious OKC gem offers incredible wedding catering. 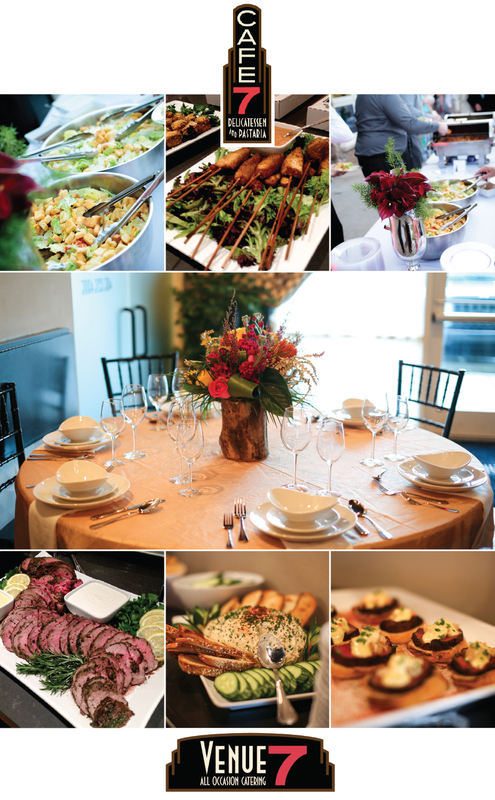 From large events to intimate gatherings, Cafe 7 can create a custom catering packaging that perfectly fits your needs. Locally owned and operated since 2008, Cafe 7 has the experience and skill to make your food dreams come true! And did you know – next door to their May Ave location is Venue 7 – the perfect intimate venue for a bridal shower, rehearsal dinner or any small get together. Get more info and take a peek at their catering menu on their website, or call 405.748.DELI to chat with their event planner and start planning the perfect cuisine for your occasion. Cheers!